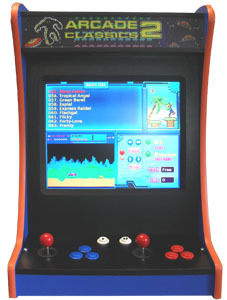 The Gamemasters E-W Bartop Arcade machine has all of your favourite games in one small compact unit, challenge your friends, take it to the Holiday house or the next Barbeque you’re going to. 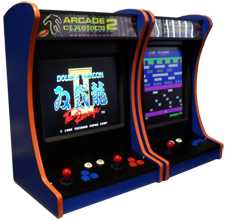 Play all of your favourites that you played at the Arcades like Wonder Boy, Rygar and Gauntlet, a fun time to have with all of your family. 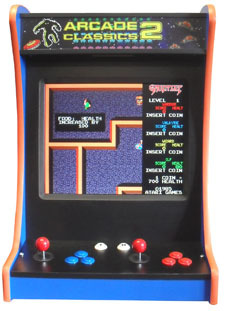 A total of 600 games. 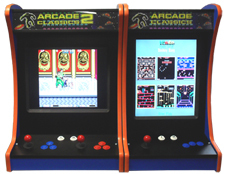 The screen is mounted like your normal TV (East -West) so that you can play a different style of game to the standard Bartop machine. 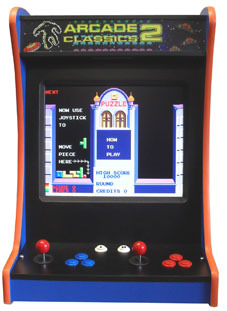 This machine has the same manufacturing process as is used in our commercial machines and is built to last. Comes in different colors or we can Custom make it just for you and your decor. 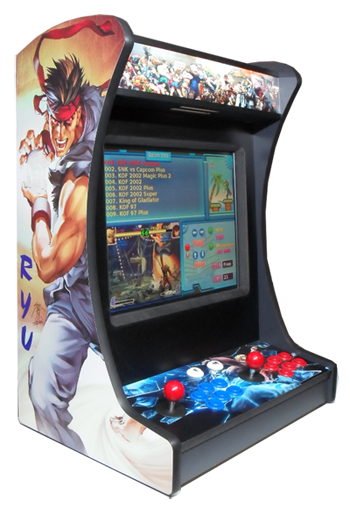 This Bartop Arcade machine is so compact you can put it on the seat of you car and at only 20kg its easy to handle and is fitted with a 19" LCD screen. Why buy just one, pair it up with our other style and have the best of both worlds. Ask for a special price for the pair.